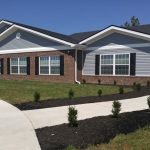 The Genesis Recovery Kentucky Center is a substance abuse treatment center that can house up to 105 men. 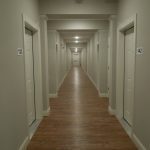 Clients first enter into the Safe, Off-the-Street Sobriety (SOS) program for a 10 day period, and are monitored around the clock in the 8-bunk bed group living quarters. 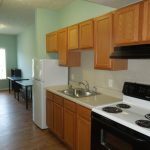 As clients progress through the program, they can move into a 4-person room, and finally into an individual apartment. 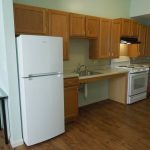 In addition to the 12-step program, clients are also prepared to work and live on their own. 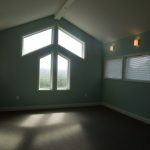 Clients typically spend about six months at the treatment center. 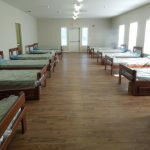 This 41,000 square foot building includes two SOS rooms housing 14 clients in each, 10 four-bedroom rooms, and 37 one-bedroom rooms. 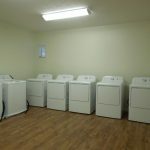 Also featured in this facility are common areas such as a full kitchen and dining room, a large group meeting room, lobby, chapel, and laundry rooms.